Stephen Pizer, Ph.D., of the University of North Carolina at Chapel Hill, was recognized by an international computing organization for his contributions to the field of medical image computing. Pizer, Kenan Professor of Computer Science in the College of Arts and Sciences and Adjunct Professor in the departments of Radiation Oncology, Biomedical Engineering and Radiology, has been named a Fellow of the Medical Image Computing and Computer-Assisted Intervention (MICCAI) Society. MICCAI is the premier society in the field of medical image computing. Medical image computing involves extracting and presenting information from medical images, to be used, for example, in radiation treatment planning and minimally invasive surgical procedures. Pizer is a pioneer in the field, having written the first dissertation on medical image computing in 1967. His research led the way for international standards on electronic display of medical images and the routine clinical use of 3D display of medical images. In addition, Pizer invented methods of improving contrast in medical images that are now standard in clinical software and methods of extracting objects from CT that have led to a successful clinical product to help plan radiotherapy of prostate cancer. Pizer, who joined the UNC faculty in 1967, is most proud of his contributions to the field through the advising of Ph.D. students. He has lead-advised 44 students who successfully defended their dissertations, and he continues to advise students today. Among his other accomplishments, Pizer is one of the founding members of the MICCAI Society. He has authored or co-authored 287 papers and book chapters throughout his career, authored two textbooks on numerical computing, and co-authored, with Kaleem Siddiqi, the only book on the widely used medial representation of objects. 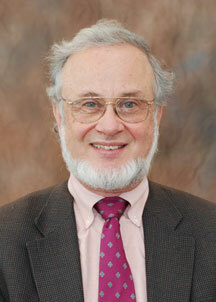 He also founded the Medical Image Display and Analysis Group (MIDAG) at UNC. Pizer is the second UNC faculty member to be named a Fellow of the MICCAI Society. Guido Gerig, Professor in the School of Computing at the University of Utah, who is currently Adjunct Professor in the Department of Computer Science at UNC, was named a fellow in 2009. Gerig held a joint professorship in the Departments of Computer Science and Psychiatry at UNC until 2008. MICCAI named 3 new fellows in 2010. The fellows were chosen from among senior MICCAI members, in recognition of substantial scientific contributions to the MICCAI research field and service to the MICCAI community. They were announced on September 24 at the 2010 MICCAI Society conference in Beijing.